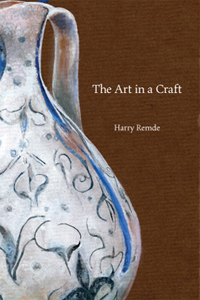 The Art in a Craft is a gem, a small book filled with practical wisdom drawn from the author’s own craft of pottery. Above all, for Harry Remde, a craft is the study of how to be, and what is discovered may be applied to every aspect of one’s life from cooking to dancing. The author’s description and application of three inner laws of building is unique and surprising. He calls them simply the law of the body, the law of the head and the law of the emotions. A special effort of attention is needed to fulfill these principles. Artefacts made in this way are said to be rare and as marvellous as light. Life lived in this way is said to be equally rare and marvellous.